My first “classical” CD is now out! 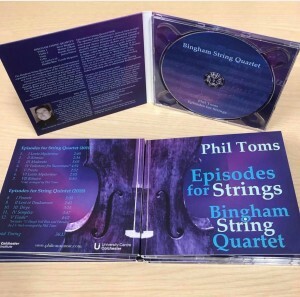 Episodes for Strings is performed by the Bingham String Quartet (Steve Bingham, Marina Gillam, Brenda Stewart and James Halsey) with the Philharmonia’s Gareth Sheppard on double bass. It features my Episodes for String Quartet (2010) and Episodes for String Quintet, which was started in 2014 and finished in 2018. I’m indebted to Steve Bingham and engineer Mark Fawcett for recording and editing this so well and also to my work (University Centre Colchester) for funding the project. Read about the recording sessions here. There are a limited number of CDs available from me directly for £10 – please email me phil.toms @ ntlworld.com or message me on social media. You can also buy the CD on Amazon (mp3s) and listen to it via Amazon Music Unlimited (streaming), Spotify and iTunes. 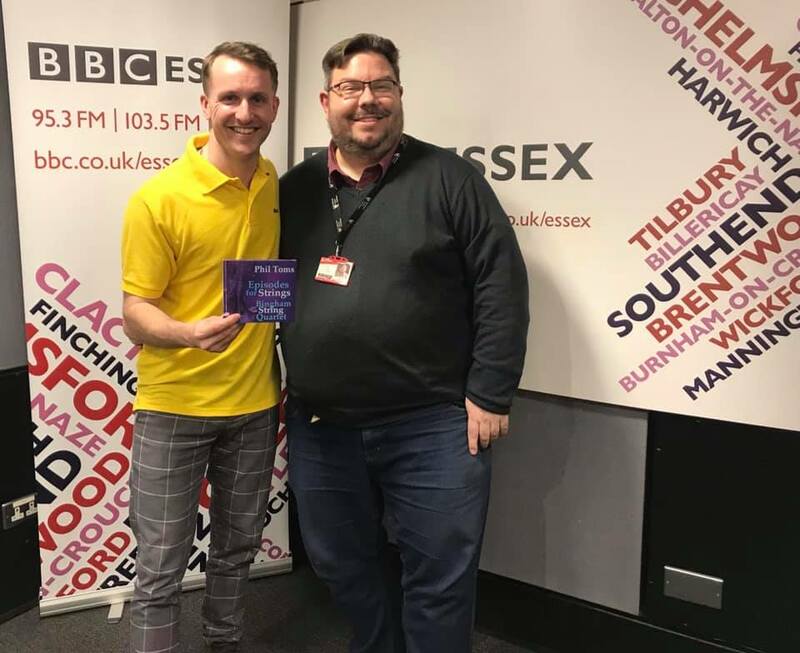 Thanks to Rob Jelly at BBC Essex for some air time and discussing the CD within our monthly Film News slot. Customer reviews will be updated here when they appear!